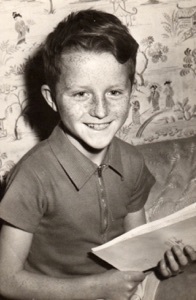 I was born in Ealing, west London, in August 1953. 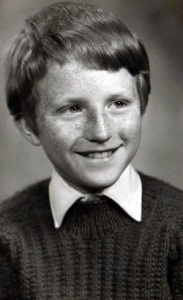 At the age of 10 I started Saturday morning drama classes and joined a children’s agency, making my professional debut as a freckle-faced lad in a Lucozade commercial shortly after. This was swiftly followed by adverts for, amongst others, Kellogg’s Frosties, Black & Green Tea, Turog Bread, HP Baked Beans and Smith’s Crisps. In my mid teens, my family moved to Cardiff and I continued working as an actor. This included an appearance in the second series of One Of The Family opposite Windsor Davies for BBC Wales. I also made several appearances with the highly praised amateur society, Cardiff YMCA Players, appearing in productions of Under Milk Wood, Spring & Port Wine, Hobson’s Choice, Little Boxes, and Forget-Me-Not-Lane (as Young Frank), winning the Best Actor award at the Llandrindod Wells Drama Festival. At 21 I attended the Welsh College of Music and Drama. 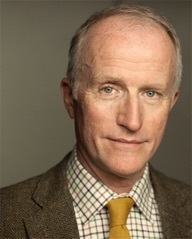 Roles at college included Allan Felix in Woody Allen’s Play It Again, Sam, Ejnar in Ibsen’s Brand, Sir Jasper Fidget in William Wycherley’s The Country Wife, Joe in Brian Friel’s The Lovers (Winners) and Garcin in Satre’s Huis Clos. After leaving college I moved back to London gaining experience in a wide range of Theatre, Film, Television and Video and developing a forte for playing character roles. I live in East London.